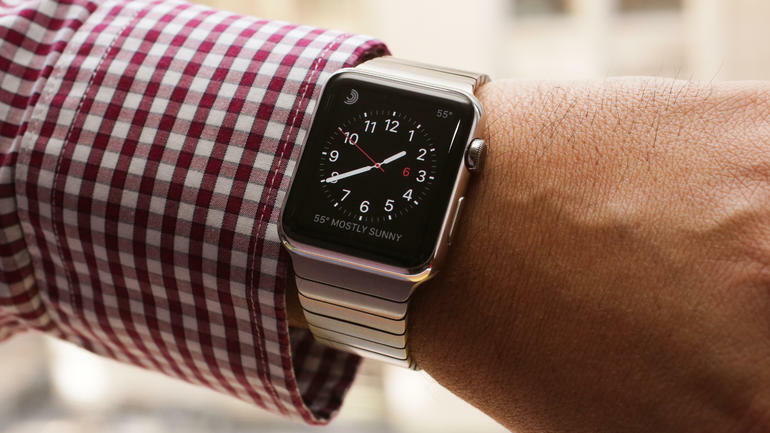 Home Reviews Apple Watch – Are You Willing To Pay The High Price? Apple Watch – Are You Willing To Pay The High Price? Do you own an iPhone, an iPad and a MacBook and you want to complete your collection of Apple products? Then you’re probably thinking about buying the Apple Watch, whose price starts at $349 and goes up to $17,000. So, why would you pay that much on a smartwatch? Well, the device is available in 38 models, there are different materials, sizes, bands and colors and you can choose the variant that represents you. But still, why is the Apple Watch so expensive? Below, you’ll understand why. Do you want to show off in front of your friends and make them feel inferior? They will surely envy your good tastes in gadgets and they will want to buy an Apple Watch after they’ll see you wearing one. This luxurious product looks good on the wrist and besides, it’s very useful, because it’s loaded with features. Plus, this fall, it will be upgraded to WatchOS 2, and we have a hunch that the new operating system will come with an improved WiFi connectivity, will have new customizable options, email replies and Siri will be more efficient. When Apple Watch OS 1.0.1 was launched, it brought some fixes for sensor errors and expanded the number of supported languages. But Apple didn’t want to stop here, because there’s always room for improvements and the times are changing and new technologies are surfacing, to make people’s lives easier. With Apple Watch, checking into a flight is simpler, because of the wrist-mounted QR code and without a doubt, fitness applications come in handy when you want to live a healthier life and want to know how many calories you’re burning when walking or jogging. But that’s not what the Apple Watch can do. The Apple Watch can be considered a jewelry, because it looks more beautiful than all of its rivals. It features a rectangular display, but it feels chunkier than the slim Apple gadgets. But, when you’ll put it around your wrist, you’ll feel fantastic with it. Apple wanted to satisfy all kinds of tastes and created three categories of watches: the simple Apple Watch comes in 20 models and has a stainless steel case, with different types of bands, costing between $549 and $1,099, depending on the size; the Watch Sport line of watches includes models with a silver/space gray aluminum case with sport bands, and they cost between $349 and $399; the Watch Edition is for the premium buyers who don’t cry if they throw away $10,000 or $17,000 on a smartwatch that contains a gold case. The watch comes in two variants of screen sizes: the 38mm variant supports a resolution of 272 x 340 pixels, while the larger 42mm variant supports 312 x 390 pixels. The screen is OLED (sapphire crystal), which is very sharp and colorful, not pixilated like the LCD screen of the Moto 360, and it doesn’t affect the battery life, because when the screen is darker, only the pixels that are turned on are draining the battery. According to tests, the device lasted an entire day, although, the expected battery life is around 18 hours. If the user makes non-stop calls, then the battery is drained within three hours. When listening to music or using the heart rate monitor, the Watch lasts six hours and when it reaches 0 percent, the watch doesn’t completely turn off because the 72-hour Power Reserve mode comes into action. The 205mAh battery is charged up to 80 percent in 1.5 hours, and in 2.5 hours, it reaches 100 percent. The watch comes with an inductive magnetic charger that is inspired from the MagSafe chargers that are powering the MacBook Air and MacBook Pro computers. 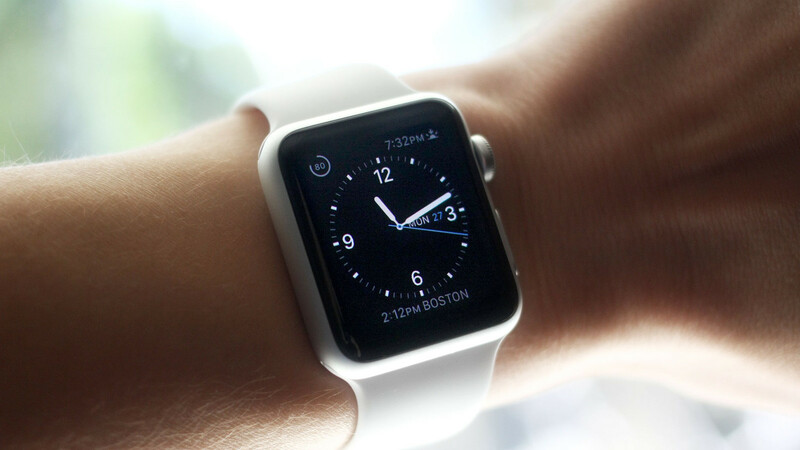 The Watch has built-in applications such as a timer, Passbook and Siri, which takes voice commands. If you attach Bluetooth headphones, you can listen to your favorite songs that are added to the playlist, but unfortunately, you’ll be limited to 2GB of storage. Luckily, you can install third party applications and many users downloaded Uber to request a car, or CNN to be up to date with the latest events, and to track their lost wallets, they needed Title app. If you’re addicted to Facebook, you’ll see notifications popping out on your watch’s screen, you will be informed if you have new emails on Gmail and since you’ll be using this device to monitor your health, you will want to use the Workout app, which will track your favorite workouts and will remind you about your milestones, to encourage you to go all the way.